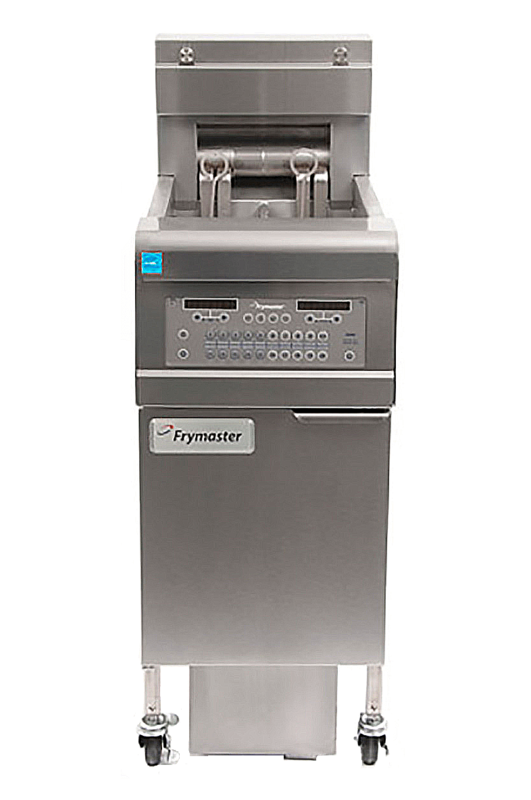 Frymaster Corporation is the market leader in commercial fryers -- the choice of the world's largest, foodservice chains. It began in 1935 when Company founder, P.F. Ratcliff, built the very first Frymaster fryer around the advanced principles of the open frypot and the master jet burner. Since then, Frymaster has led the industry in product innovation such as the highly efficient infrared burner and fully controlled, programmable cooking. 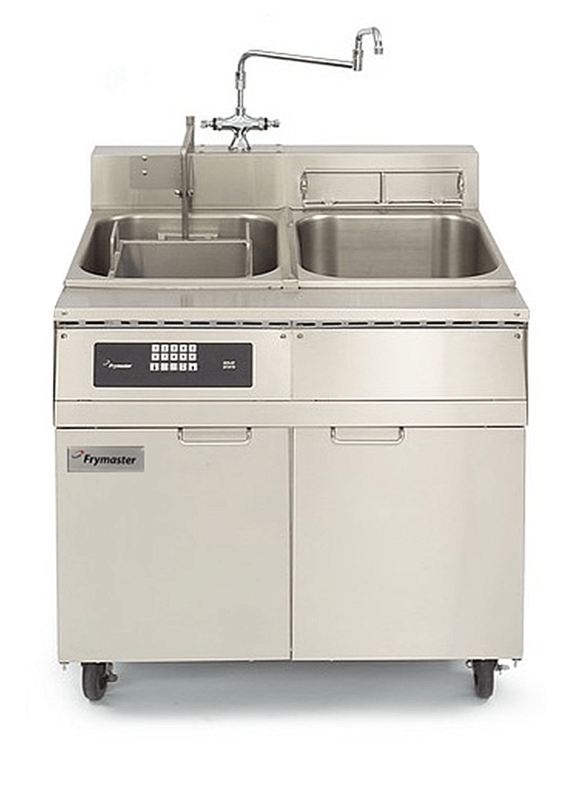 Industry firsts such as computer controlled frying, built-in filtration of shortening, high efficiency fryer systems, and many more are further examples of innovation at work. Precision is the essence of Frymaster quality. Throughout the fifteen years that FE&S has championed the Best in Class Survey Frymaster has never given up the top spot of Overall Best in Class in his category. Frymaster is a 15-peat winner! Also Frymaster is proud to be a charter member of the ENERGY STAR program for commercial fryers. 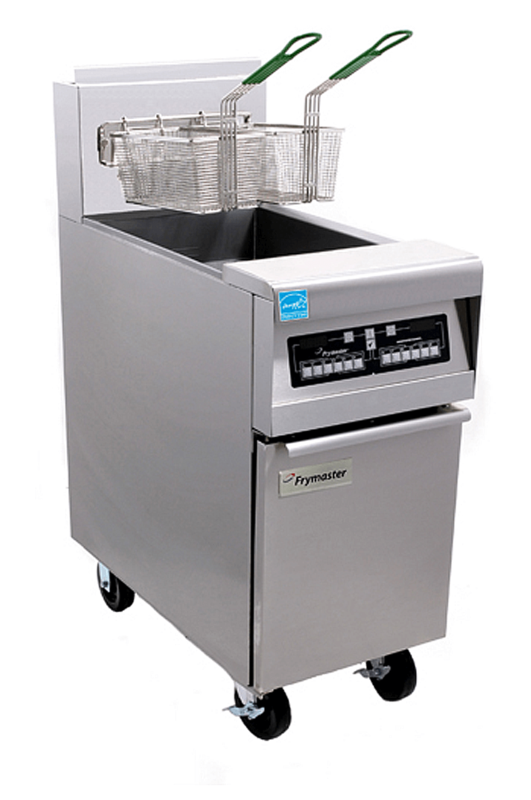 Our fryer has been the industry standard for over fifteen (15) years. You can visit Frymaster at www.frymaster.com. Specifically designed for ultimate oil conservation and high performance. The open stainless steel frypot is easy to clean. These fryers reduce operating costs by using less oil, 30-lbs versus 50-lbs. Oil life is maximized because the smaller frypot maintains a favorable ratio of fresh to used oil. This higher ratio of fresh oil slows down the accumulation of breakdown products that shortens oil life so the oil lasts longer. Less oil to fill and longer times between fills saves operators well over 40% on their oil costs. Specifically designed for high-volume frying and controlled performance. Frymaster’s proprietary self-standing, swing-up elements and precise controls ensure industry-leading energy efficiency with ASTM ratings greater than 83%, far exceeding ENERGY STAR® qualification standards. Specifically designed for high capacity, reliability, versatility and efficiency. H55 is a premium open-pot fryer that combines state-of-the-art technology with decades of frying experience and customer satisfaction to set the standard for high-efficiency frying. 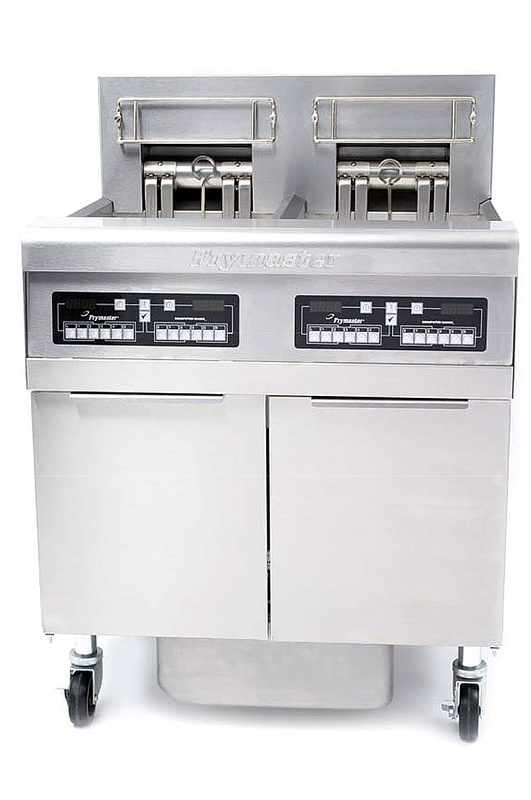 The H55 fryer saves thousands of dollars annually on energy costs. Unsurpassed in their versatility, proven worldwide performance and low maintenance needs. 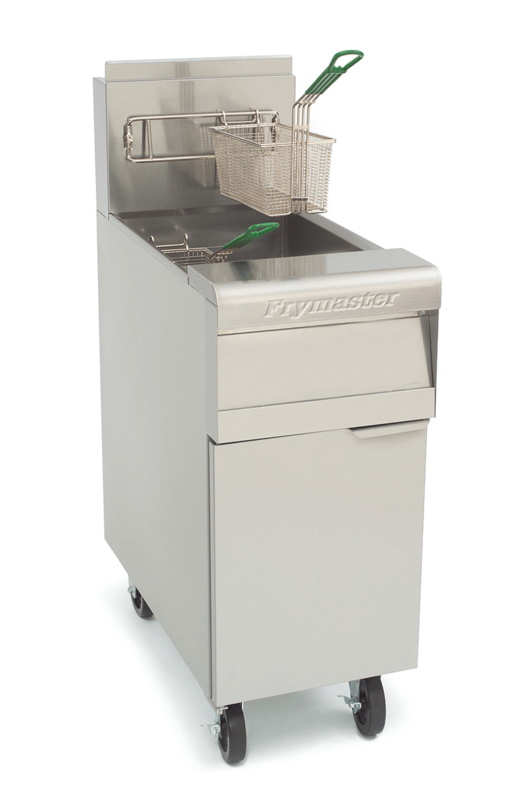 The MJ50 fryers offer options that accommodate a wide range of frying needs. Master Jet burner system distributes heat evenly for efficient heat exchange and quick recovery. The Pasta Magic® 8SMS electric cookers incorporate all the features the industry has been looking for in a pasta cooker. Electronic, programmable controls make it easy to cook perfect pasta exactly as desired every time and do it all automatically and reliably.